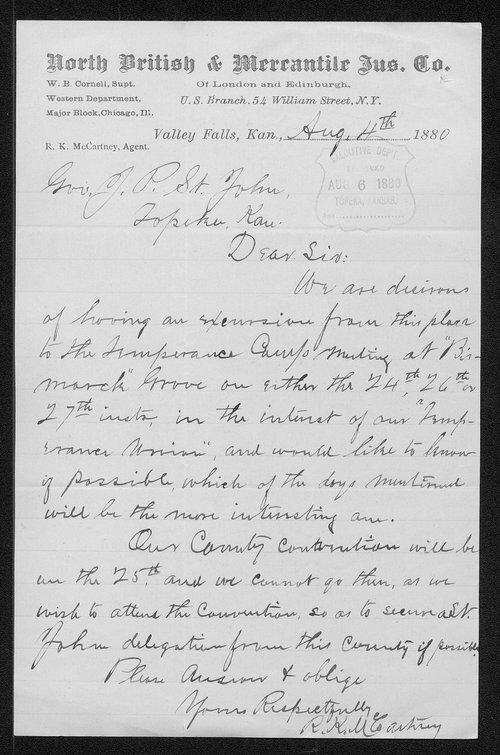 In this letter, R.K. McCartney writes Kansas Governor St. John, informing him the community of Valley Falls plans an "excursion" to hear the Governor speak at the Bismarck Grove Temperance meeting in late August. McCartney wants to know which day will be the most interesting. Bismarck Grove was outside of Lawrence, Kansas.